Our journey from New York to Manila began when we left out house at 6 AM on Monday, February 20 and were taken to the airport in Albany. We flew to Detroit where we were joined by Burt and Nancy Asbill. It was nearly 30 hours after our departure that we landed in Manila, the capital of the Philippines, at a little after midnight on the morning of February 22, 2012. Since Manila is currently 13 hours ahead of Eastern Time Zone, all I had to do to correct my watch was to go one hour forward. So we quickly went through customs and were taken to the Manila Airport Hotel. Since they couldn’t find our reservations and the hotel was full, we were sent to some of their “cabins” which were at another place on the grounds. We spent our first night there and then asked to be moved back into the main part of the hotel, where there is a better sense of security and access to their regular services. Internet service is available here if you buy it an hour at a time so communication from here will not be as free as we are used to at home. Friday through Sunday, the 24th through the 26th, these three days are set aside to have meetings in one of the several suburb cities, north of the capital Manila. So we will remain residents at the Airport Hotel and travel by hired van to the meeting site. We leave the hotel after having their breakfast at about 8 AM and the travel will take between 1 ¼ and 1 ½ hours depending on traffic conditions. The route is as if all one city; one hardly knows when one city passes into the next. We pass businesses, high rise buildings, construction sites and slums. The slums are a jumble of helter – skelter arrangements of one story tin roofed shacks. Sometimes I can see down the dark corridors of their alleys where there is evidence of human life, the poorest of the poor. I am wondering if some of these people are in these meetings. The meeting hall consists of about 50% children and they are seated on our right side of the building, 30 or 40 of them, mostly between 3-12 years old. On each of the three days of meetings Sister Nancy ministered to these little ones with Bible stories, exhortation and songs. There were generally two full meetings each day. After the morning meeting a lunch was served to everyone there, and then about 1 PM we started the afternoon meeting which would last for another 2 hours. Then it was back in the van for the long drive back to the airport hotel. 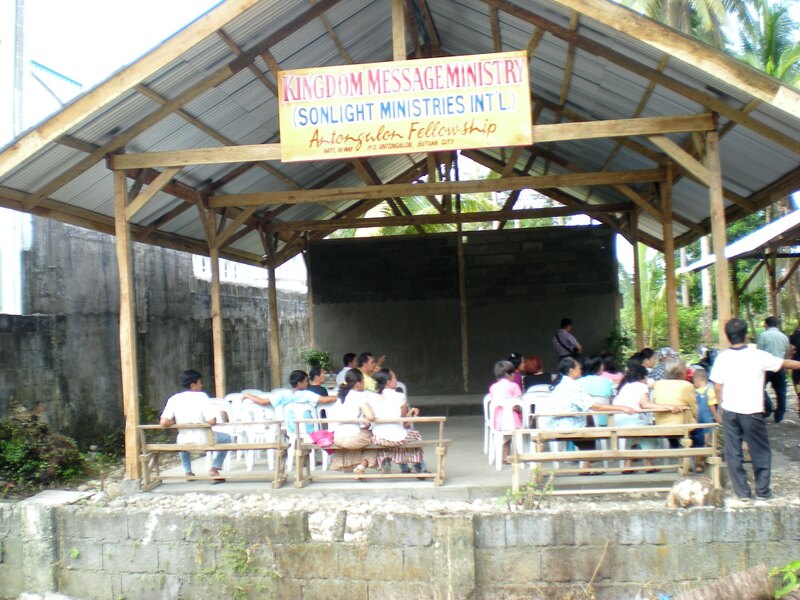 This gathering in Quezon represents about five separate “chapters” (fellowships) from the areas that are being started and overseen by Brother John. A goodly number of these folks came with him when he left the UPC denomination. But many of them also seem to be new and have practically no background in the Word of God. So we are again bringing much basic word foundation. And since the root of their religious experience is about 90% Roman Catholic, there are also a lot of these kinds of religious strongholds that need to be destroyed. But mainly there is still the need for straight out foundational teaching on the basics of salvation, basic teaching about the Bible itself. We have English literature and for many their understanding of our language is marginal. When we ask how many Bibles are available in the room, only two or three Bibles are raised. How are these poor sheep going to be fed? After the first day at the Manila/Quezon area meetings, we are joined by Martin and Tomas from the Czech Republic. They will remain with us for the Cebu and the beginning of the Butuan meetings. The sisters, Merlinda and Marissa, have also been with us from the beginning of these meetings and will remain with us until it is finished. And so on Monday morning, February 27 the eight of us are prepared to fly to Cebu City where we will have three more days of meetings. We have been starting every day with prayer and seeking the Lord for direction as a team; we shall continue to do so. On Friday, March 2, we are checking out of the hotel and preparing for the flight down to Butuan on Mindanao Island, the place that we first visited in 2008. Our meetings have been getting progressively better from the standpoint of the richness of the spirit. The worship and praise here is better, the songs are those that the audience can more easily participate. The spoken word is coming forth with more power and on a deeper level. Here it is not so much of building basics but more of a going on into the heavenly aspects of the kingdom word. 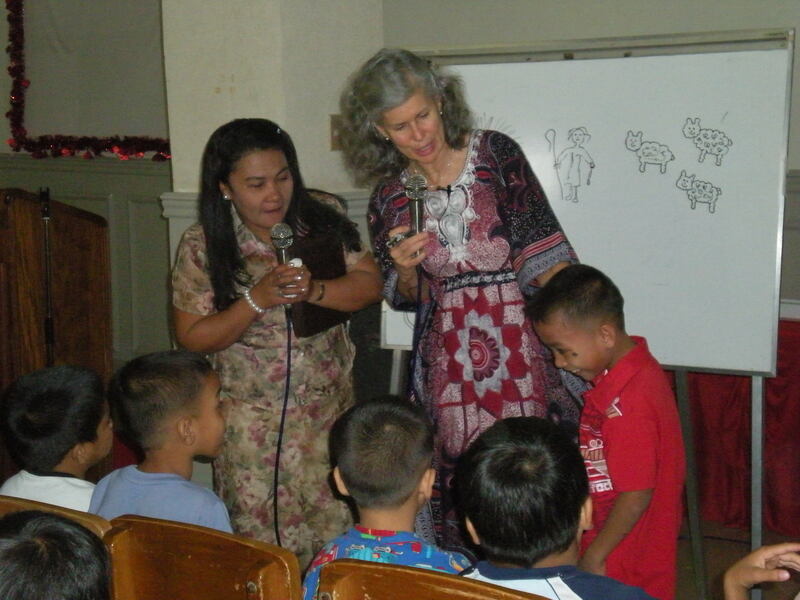 At the beginning of each meeting, Sister Nancy brought a teaching for the little children which was well received. There are many little ones in these meetings but not as many as in Quezon City. Another thing about Cebu that added to the meeting was the presence of four Pentecostal pastors, including some of their family and brethren. One of the four told me that he had already returned his “pastoral” papers to the denomination. We were told that the others are also considering doing likewise. I met with these brethren and they told me that they liked the word that they heard and would like printed literature. I gave each one a Pattern and a set of Revelation books plus whatever else I had, including CD/ MP3 recordings of the last four visits to the Philippines and others. The written literature that I brought with me is now nearly all gone. Several of the men promised that they will stay in touch with us and let us know their progress and further interest. Three of the men have a church on this island, the fourth, the 75 year old father of one pastor, has a church on Mindanao Island (not in Butuan). I believe that we are all encouraged thus far with the results in Cebu as we can see good potential for the growth of the word here, especially with the interest of these more mature men. The first day of meetings at the hotel in Butuan City started off with a bang. It was nearly a full room (Merlinda said she fed 185). Since there were so many children (at least 45-50) Sister Nancy had a children’s program before the messages of both the morning and the afternoon sessions. There have been a few small attacks on the flesh of some participants, first Tomas and then Burt, but everyone kept on doing what we came to do. 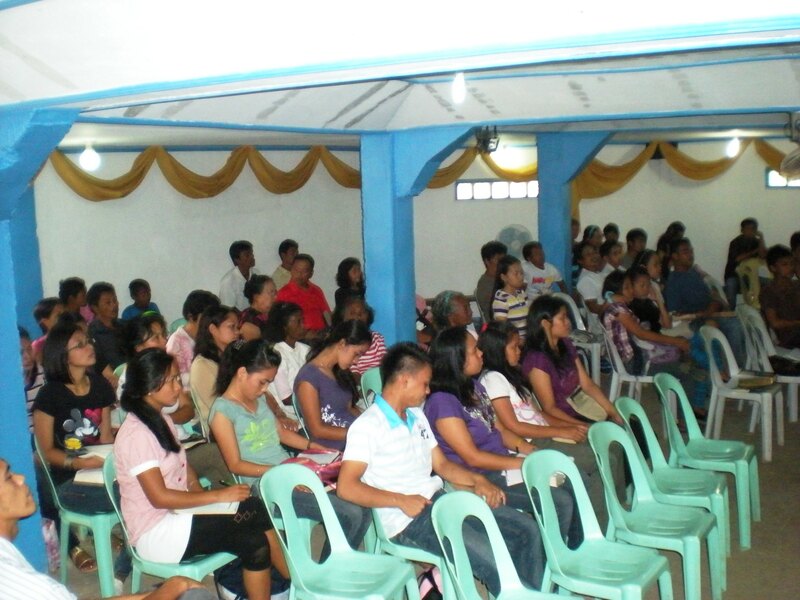 The second and concluding day of meetings at the Hotel Caraga in Butuan was held on Sunday. The crowd was not quite as large (160). As I looked around I saw a lot of new faces; but I really missed seeing some of the familiar faces that we had known from past visits. It seems that people are making choices as to which house they want to be in. We had good liberty to preach and a good variety of interpreters available. 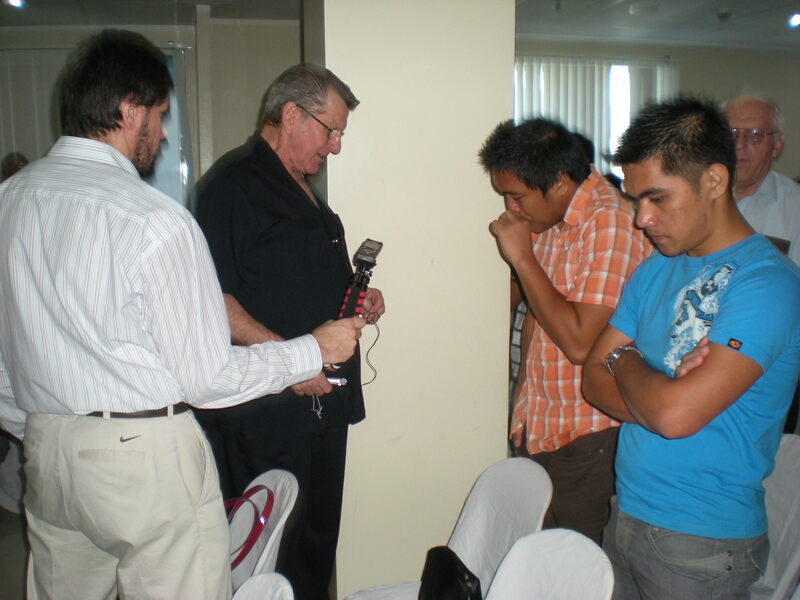 One of the themes that we have been preaching both here and at Cebu is the necessity of the people to have Bibles in their hands and to be using them to study the word of God. Even the children in Butuan had more familiarity with the word than we had found in the previous locations. Burt brought the closing word as a strong warning of what was coming on the earth and the necessity of getting our spiritual house in order. On Monday morning, Tomas and Martin leave the team and begin their journey back to the Czech Republic. 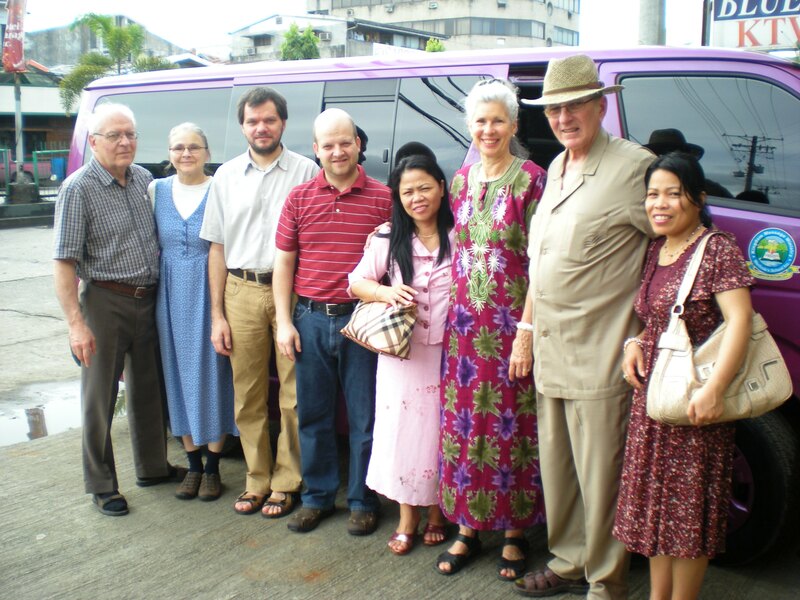 The rest of us are off in Merlinda’s new van to Brother Edmar’s fellowship in Bangonay (one and ¼ hour drive south of here) for the remainder of ministry in this area. 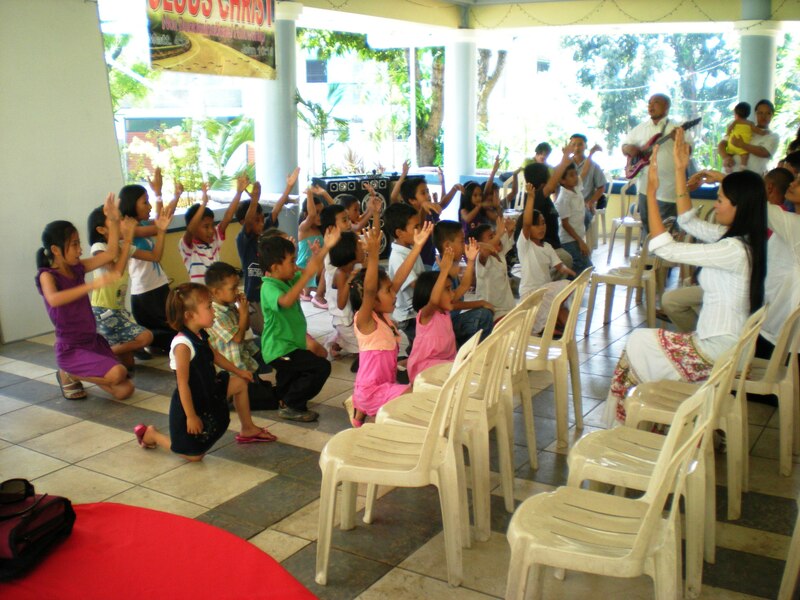 The major attendees are his Bible school students from his nearby school in Santiago. Since most of the students have ministry aspirations, I brought a word on ministry. It stirred up a lot of debate and questions as God’s order came in conflict with man’s religious traditions. I ended up also teaching the afternoon session, both of marathon length. The next day (Tuesday) Burt brought both morning and afternoon messages, both very strong and nearly 2 hours long. He clearly laid out the cost of obtaining the prize of walking in the fullness of sonship. At the end of the afternoon meeting there was a response in which nearly all of the students came forward as an act of dedicating their life to God’s calling. These are a wonderful group of students, mostly in their early 20s. They have had their problems swallowing some of the things we said about the old order of church leadership and such, but they have tender hearts and a desire to learn. Brother Edmar is certainly a brave man to bring us into this group and his sponsors will surely make trouble. Please pray for him as he is losing the lease on the building he has been using. The last day I was not able to join my group as I had spent most of the night with a most terrible gastrointestinal storm in my inward parts. I needed a few more hours of recovery and rehydration for my body. I understand that Nancy has also had some difficulties. This is Friday the 9th and the entire morning will be taken by the celebration closing the school year for the next two months of Merlinda’s School. There are a little over 100 students between nursery and First grade. 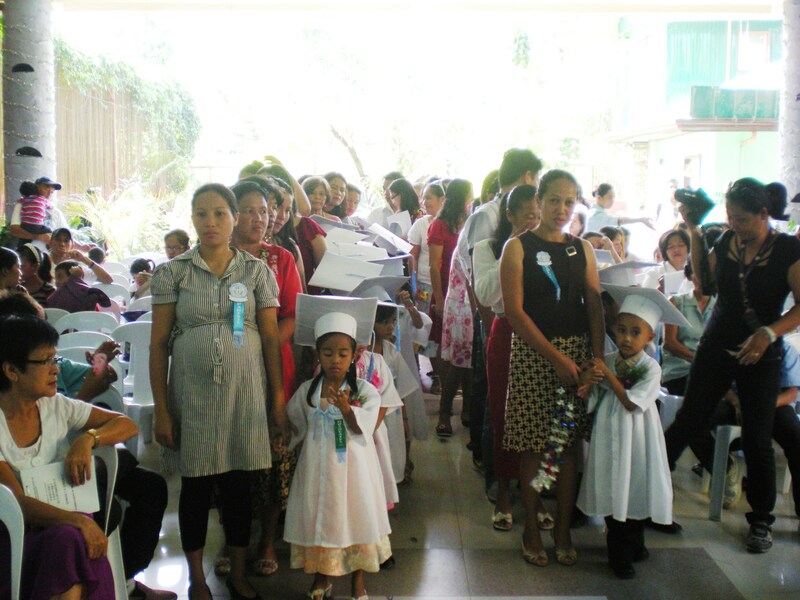 The graduation was celebrated for the kindergarten, a tradition in the Philippines. The certificate for these students must be signed and handed out by an official from the Department of Education; she came a few minutes late. After the white gowned and capped kindergartners were given their “diplomas,” then the awards were given to all of the students. Every student was given some kind of ribbons acknowledging their strengths in the study program. Every class also put on some performance: singing of hymns or reciting Bible verses or acting some story out. Finally about noon a fabulous meal was served to everyone. We had good fellowship with some of the families, getting acquainted with some who are being sponsored. Brother Lito, one of our original elders/shepherds has a group of believers that regularly meet in Merlinda’s little “furniture factory” (a two men operation). On Saturday morning we went out to the location to pray a blessing on the group. 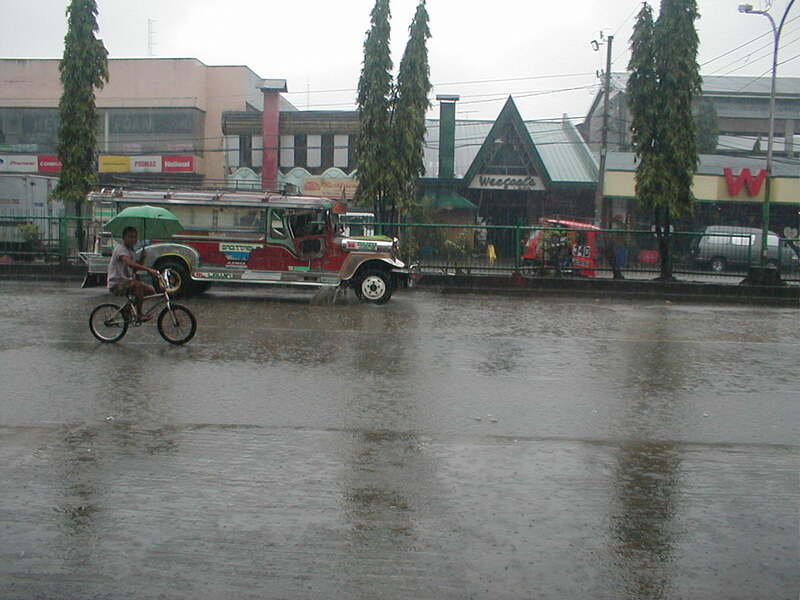 Since Rita and I had to leave Butuan by flight to Manilla about noon, we were only able to stay for a little while. We feel satisfied that we have done all that God sent us here to do. Burt and Nancy will leave the following day. Our 24 hour flight home went without incident. We were picked up at the airport by Alicia and taken to our home by about 5 PM, very tired but satisfied. Let us pray that the seed sown in the Philippines will be watered by God and produce much fruit. Our thanks and God’s blessings are asked for all who have given, prayed, fasted and sacrificed for this venture. There was much spiritual opposition but greater spiritual victory in the mighty name of Jesus. Mark and Rita Jantzi, Burt and Nancy Asbill, Martin Kluson, Tomas Brchan, Merlinda Muhmenthaler-Berongoy, and Marissa Muhr. Note: Audio recordings with interpretation in the local language are available for each of the mission visits we have made. They are in MP3 format on CDs (not on the web site yet). If you are interested in obtaining these, please contact us.